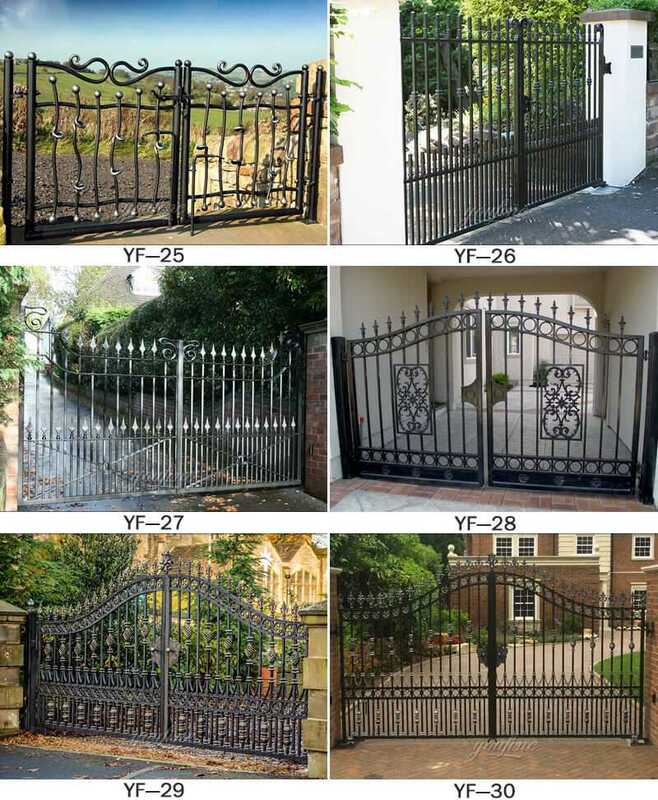 Wrought iron double driveway gate designs provide the easiest pedestrian access, and double swing gates can span larger openings for trucks, forklifts, and multi-lane vehicle requirements. 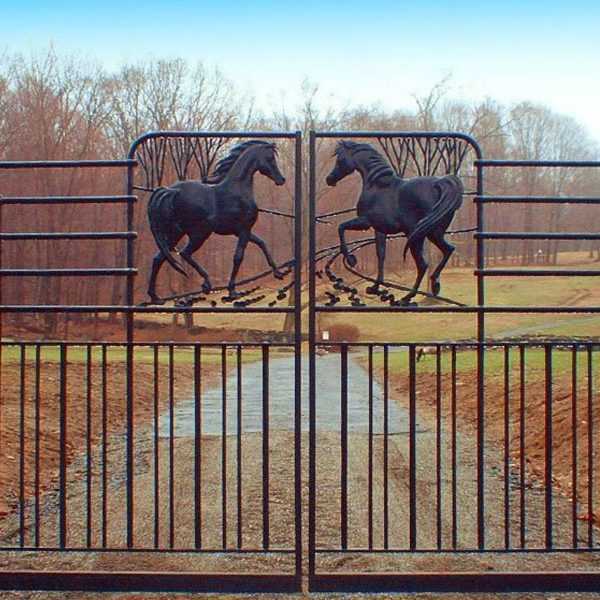 Gates that swing over sloped entrances require special consideration. 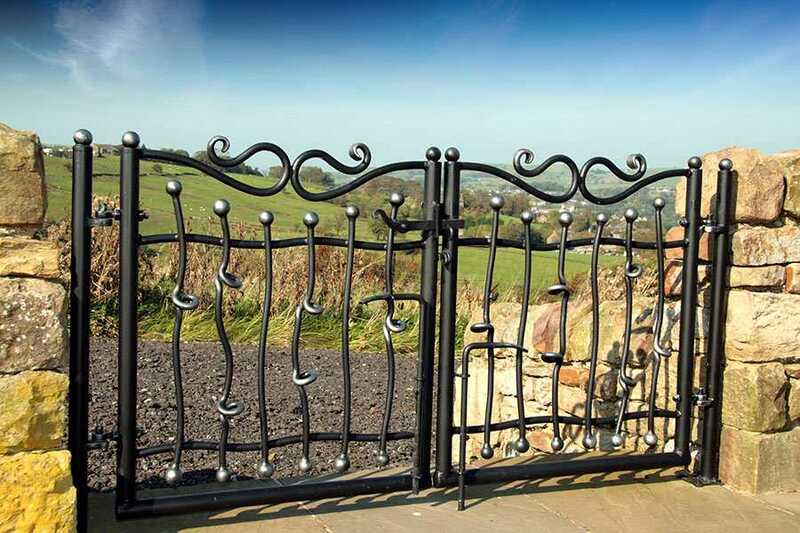 Locking hardware options are too numerous to discuss here in detail, so make sure you and our sales specialist discuss the options. 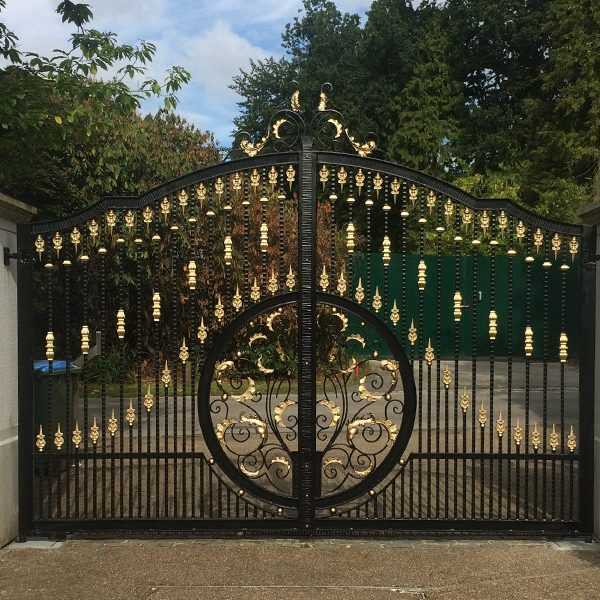 Padlocks, dead bolt and dead latches are most popular but a full range of security locks and electronic controls will allow you to integrate any gate into your complete perimeter security package. 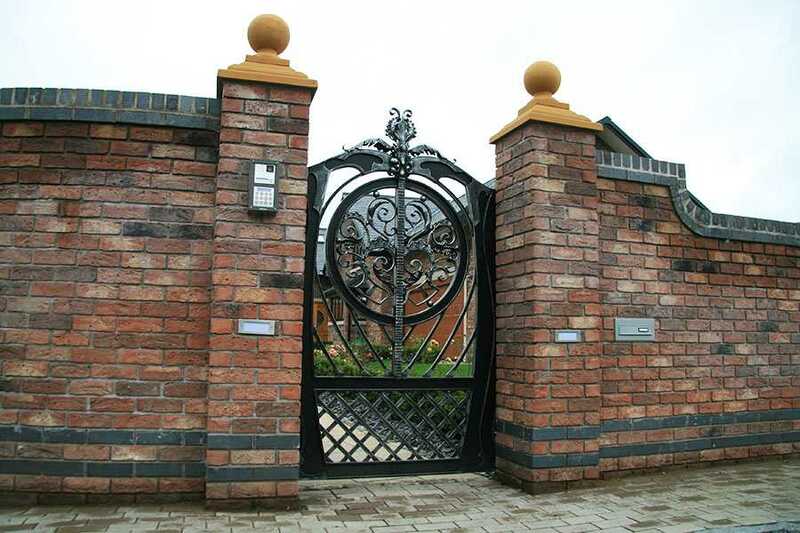 Even your existing alarm/access system can be interfaced with your gates. 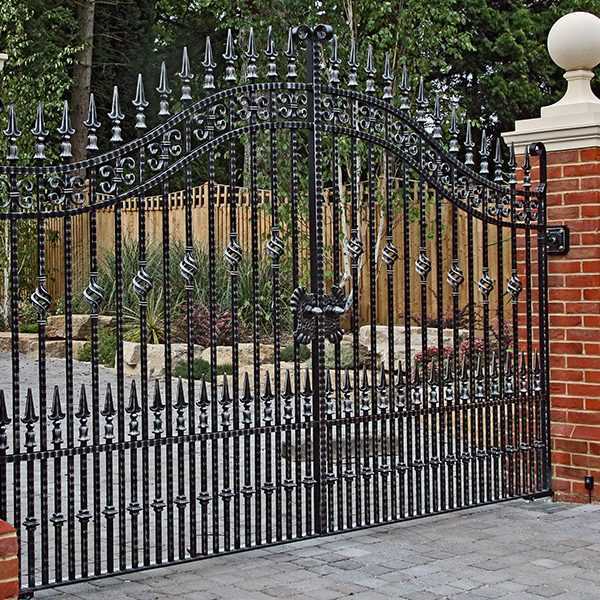 We have a wide variety of requirements for the wrought iron double driveway gate designs, even including living community, underground parking, municipal or high security and other commercial properties. All of our automatic doors can run smoothly and quietly. We even provide solar operated door systems for light residential automatic doors. This is the ideal choice for life in Southern California. 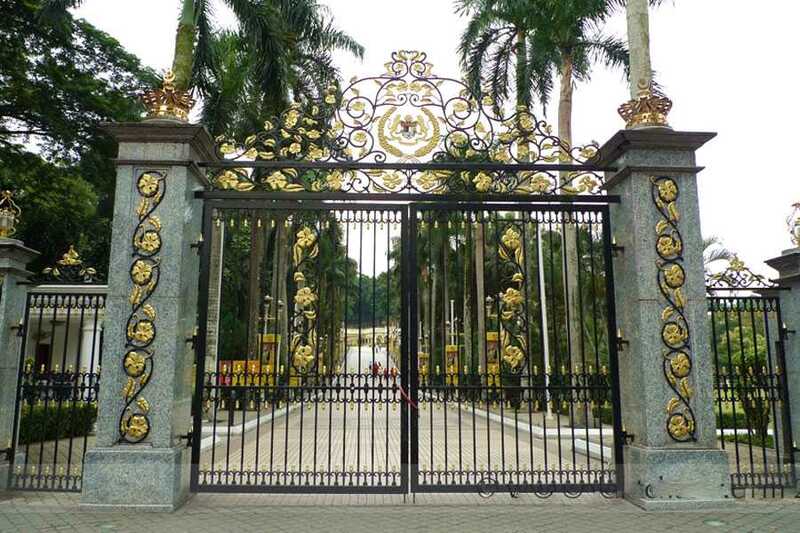 If you do not enter the automatic door, we can install any type of door for manual operation. 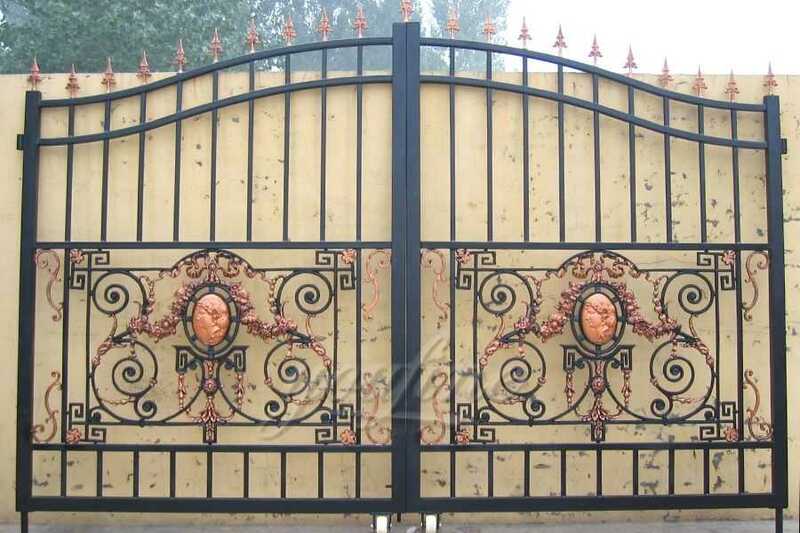 Any requirement about wrought iron double driveway gate designs ,please contact with YOU FINE ART SCULPTURE !